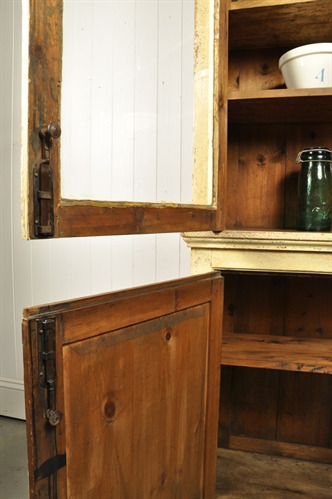 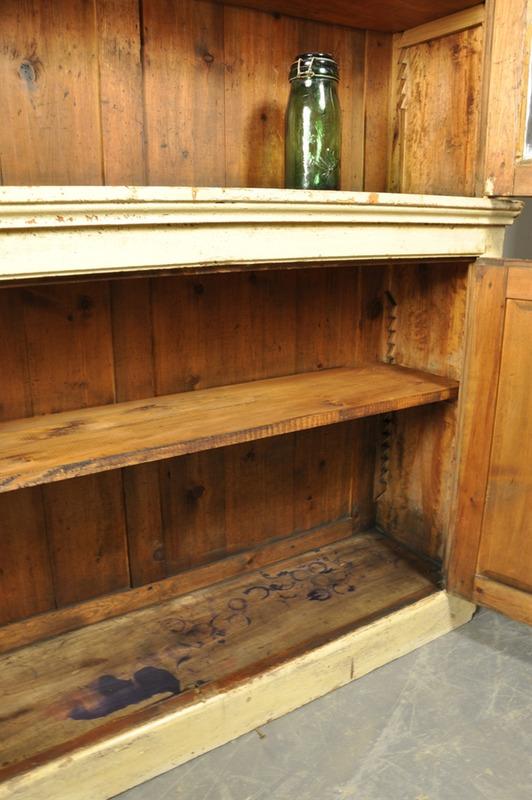 This antique bookcase was sourced from a solicitors in Caen, Normandy, France. 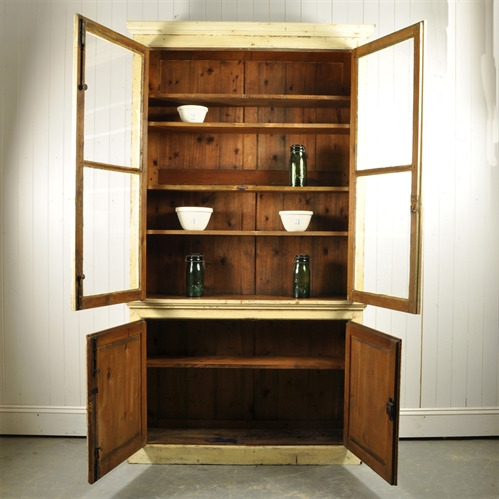 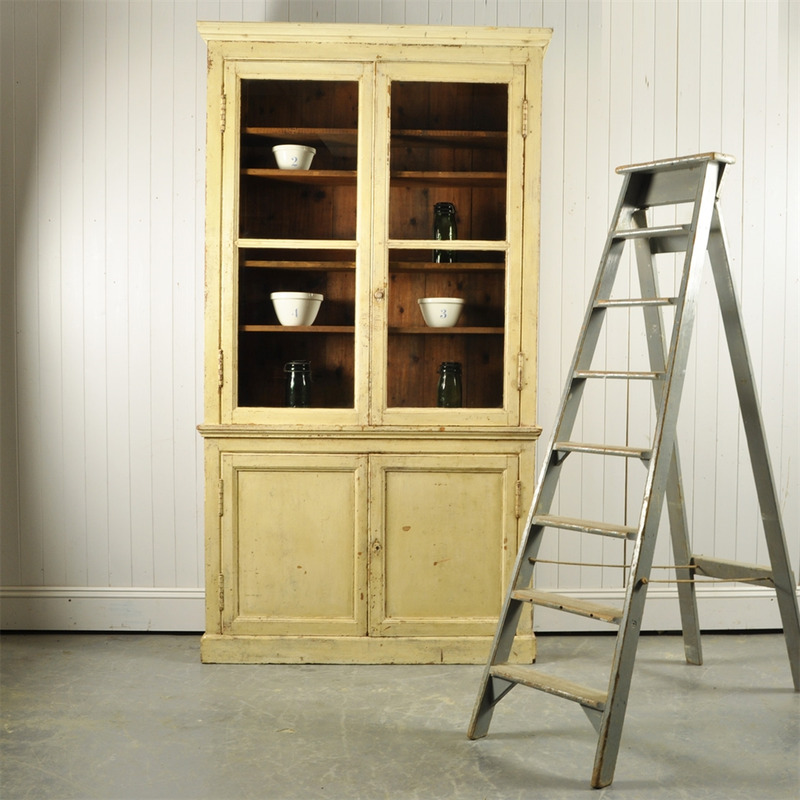 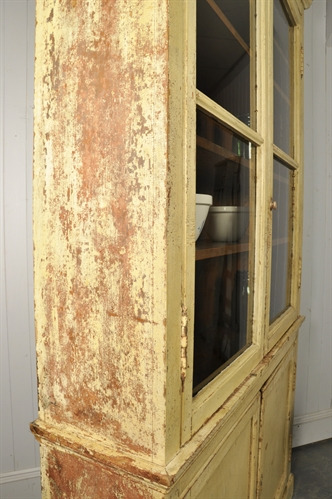 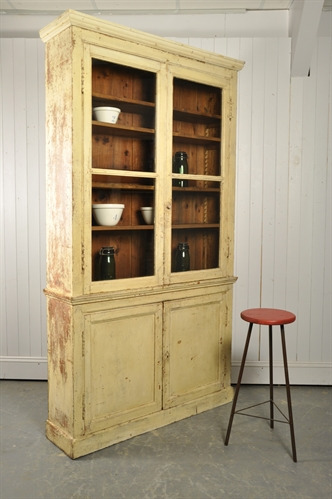 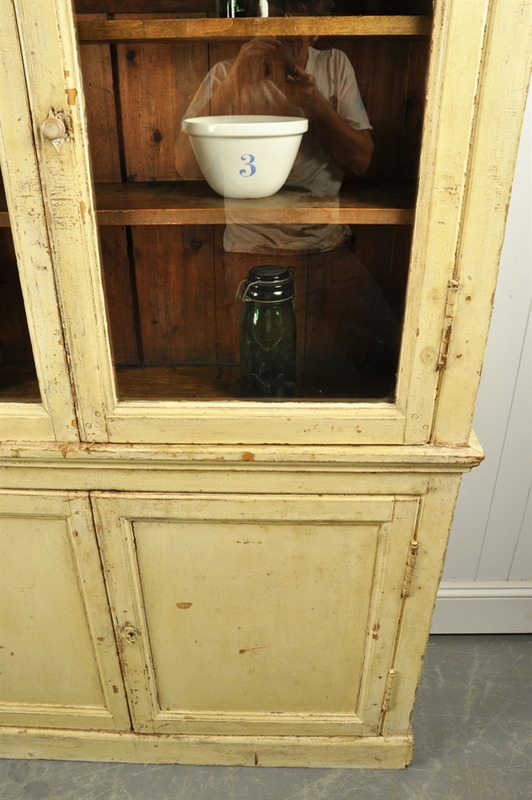 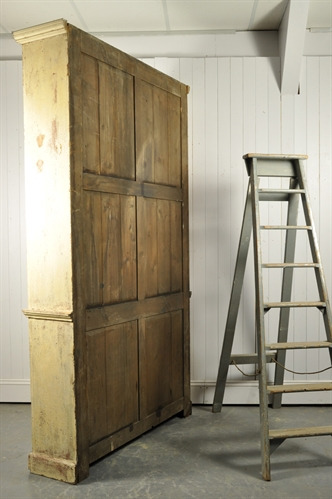 This well proportioned bookcase has a lovely original paint finish to it, all very natural and authentic. All we have done is really give the inside a good clean and polish - there are ink pot stains on some of the shelves, giving a good sense of history. These shelves can be easily adjusted. 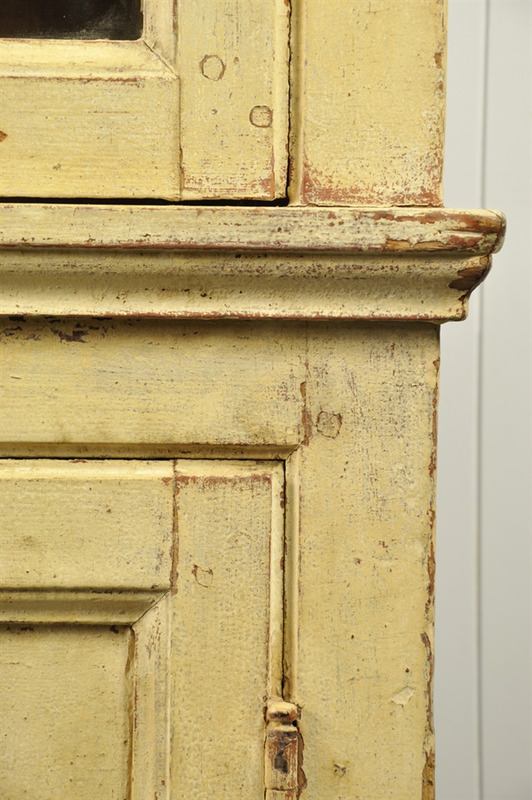 A few bumps and scrapes as per the pictures, some old woodworm which has been re-treated. 228 cm h x 126 w x 34 d.